The question of the oaths was first presented to rabbis as a practical issue in 1937, when Britain's Peel Commission proposed partitioning Palestine into a Jewish state and an Arab state. In that year, Agudath Israel held its Knessiah Gedolah and presented the question of a Jewish state to its rabbinic panel, the Moetzes Gedolei Hatorah. 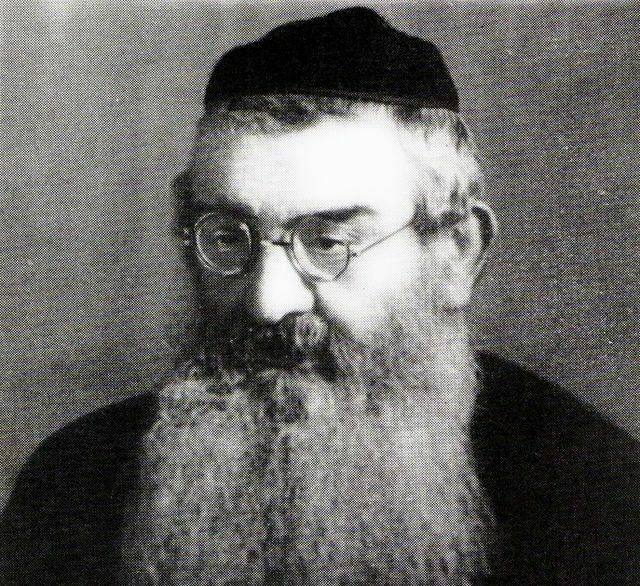 Two of the rabbis of the Moetzes were Rabbi Yehuda Leib Zirelson of Kishinev and Rabbi Mordechai Rottenberg of Antwerp. Rabbi Zirelson was in favor of the state, Rabbi Rottenberg opposed the state, and each put his opinion into writing. However, it would inaccurate to call it a dispute over the oaths, because Rabbi Zirelson did not mention the oaths at all. In fact, he did not even present his essay as a response to the question of whether or not Jews are allowed to have a state. Instead, his focus was on whether we should accept a state in such a small area of land (about 20% of Palestine). He based his support for the state on five points: 1) The heart of a king is like streams of water in the hand of Hashem (Mishlei 21:1). Thus if the British are making this proposal, it must be the will of Hashem and we should accept it. 2) The state will eventually be big and powerful, but let it at least start now, even if small. The Zohar says that blessing cannot take effect on an empty table. We have to start with something, and later it can be enlarged. 3) It could be this small state is referred to in the Yerushalmi Berachos 1:1, which says that the redemption of the Jewish people will start out small and increase slowly, like the dawning day. 4) We need not fear that the irreligious will rule over us and persecute us. Hashem can save us, and besides, as the Gemara (Berachos 10a) says, "What business have you with the secrets of Hashem? Do what you are commanded to do, and let Hashem do what He wants." 5) The Gemara (Berachos 7a) says that when Moshe asked to see Hashem, Hashem replied, "You missed your chance. When I wanted to show you, you didn't want to see. Now that you want, I don't want." Let's not miss our chance! Let's not let such an opportunity slip through our hands, for if even Moshe was punished for missing an opportunity, all the more so will we. To this Rabbi Rottenberg replied: "I am shocked that you rule on such a serious halacha question based solely on Aggadah. Would you permit an agunah (stranded woman) based on Aggadah?" Nevertheless, he responded to the above Aggadah points before beginning his halachic discussion. 1) The Yalkut on Mishlei 21 says that if the generation is worthy, Hashem inclines the king's heart to good, and if not, He inclines him to do evil. How are we to know whether this decision of Britain to give a piece of Eretz Yisroel to the Jews is for good or for evil? 2) We have to start with something, but not something negative. Having nothing is better than having something bad - a state under the control of the wicked. 3) The Yerushalmi gives, as an example of a slow redemption, the story of Mordechai. Clearly it has to begin with a tzaddik. 4) History proves that when the irreligious come to power, they use their power to incite the Jewish people away from Hashem. In such a case, we must indeed "do what we are commanded to do" - not join the wicked. 5) You say let us not miss our chance. It sounds like it's obvious to you that it is the will of Hashem that we should found a state as Britain proposes. But to me it is obvious that even besides the prohibition on joining the wicked, founding a Jewish state before the coming of moshiach is against the will of Hashem and against the best interests of the Jewish people. The Gemara in Kesubos 110b brings a dispute between Rabbi Zeira and Rav Yehuda as to whether an individual Jew is allowed to return to Eretz Yisroel during exile. But all agree that the oaths at least prohibit the Jewish people from going up "as a wall" - which Rashi explains as "together, with a strong hand." And there is no greater instance of "as a wall" than the establishment of a Jewish state in Eretz Yisroel. And see the Ahavas Yonasan who says that even if all the Jews are ready to go to Jerusalem, and all the nations agree, G-d forbid that we should go there. Furthermore, who can estimate what loss we will have from this when the true redemption arrives? The Midrash (Shir Hashirim Rabbah 2:7) tells us the reason for the oath against going up as a wall: “If so, why does the king moshiach have to come to gather the exiles of Israel?” The Maharzu explains that it is moshiach’s job to bring all of Israel up together from the exile, and if, G-d forbid, they do this on their own, they will lose the redemption of the moshiach. Lastly, we must fear that if we accept this gift from Britain, we will be considered like the Jews who brazenly ascended the mountain to conquer Eretz Yisroel against the will of Hashem (Bamidbar 14:44).